This certification is awarded for build systems that meet stringent energy efficiency requirements. Beattie Passive houses are said to require 90% less heating than average builds and to reduce CO2 emissions by as much as 100%. “Our buildings assure a comfortable indoor climate in summer and require only nominal heating through the winter months, so not only is the living environment always pleasant but we dramatically reduce the need both for fossil fuels to heat homes and the resulting fuel emissions”. “Beattie Passive’s build system has tremendous potential in terms of fighting the scandal of fuel poverty in our energy-rich country. It can be used for houses, care homes, schools, workplaces and more. “The company has been building four energy efficient, affordable homes at Inchkeith Drive in Dunfermline for Fife Housing Association, and I’ve followed their progress with great interest. “The recent slowing down of the construction industry, combined with the Thatcherite ‘Right to Buy’ policy, has resulted in a dire shortage of affordable housing. What makes the affordable houses at Inchkeith Drive so important is their energy-efficient construction. So much existing social housing is poorly insulated or not insulated at all, which traps thousands of Scots in fuel poverty due to exorbitant supplier prices. 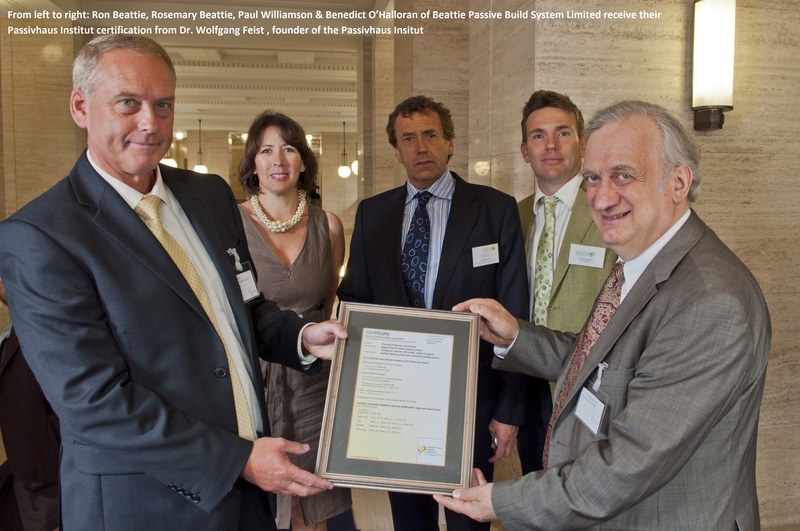 “Beattie Passive houses are inspected and tested at every stage of the build process to ensure optimal air-tightness. Despite this, the build system allows for flexibility in appearance and layout. The houses at Inchkeith Drive are traditional and fit in with the surrounding area.